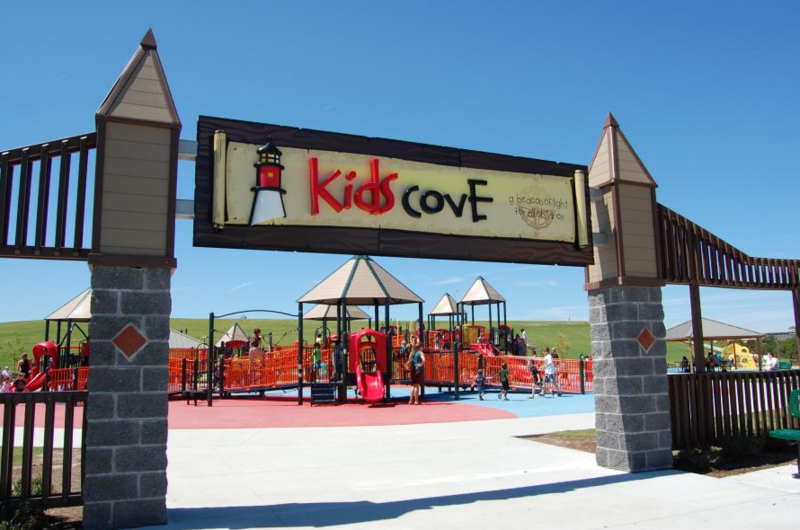 The new Kids Cove Playground at Mount Trashmore Park opened in December 2010. At nearly 26,000 square feet, the playground is comprised of three distinct play areas built on a rubber surface: a giant play structure that includes a multitude of slides, elevated walkways, climbers and more; an area that has swings for all ages; and an area comprised of a variety of climbing structures. Benches and picnic shelters are available throughout the playground.